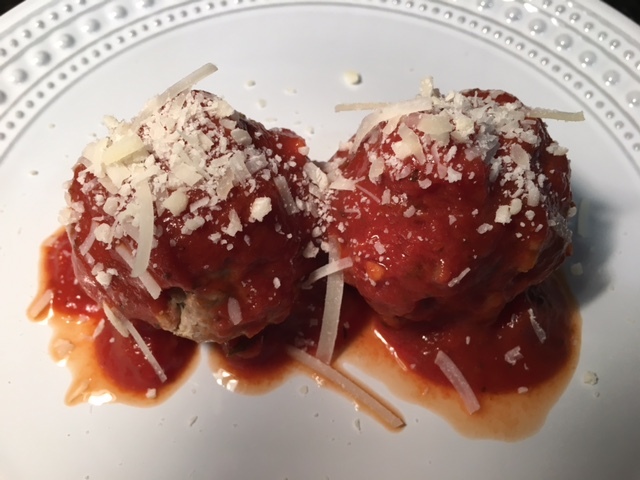 Turkey Meatballs Recipe | Kay Rice, M.Ed. Note: This recipe contains grains (oatmeal) and sugar (in the Worcestershire Sauce) and it’s been a favorite of mine for years. 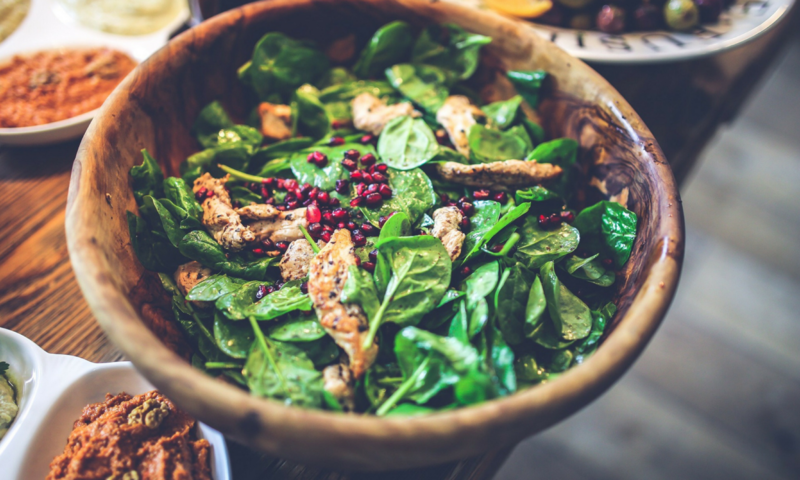 I will be posting a newer version of the recipe for the NEW 90 Day Challenge in 2017 because you will need one that is both grain and sugar free for the first 30 days of that challenge. In the meantime—enjoy! This is one of my favorite and most asked for recipes. They are tasty and so versatile. I generally makes some version of this recipe once a week and store them in the refrigerator to use for a number of meals. 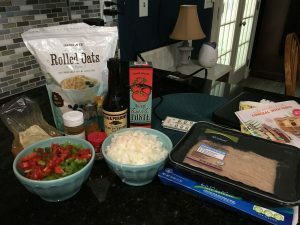 I like to have a meal prep/cook day and cook several recipes in bulk for the week. 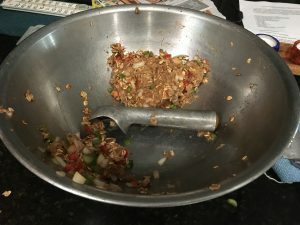 You can make this recipe into meatballs, and serve them with a little brown rice or pasta and some sauce, or as turkey burgers served on a whole wheat bun with guacamole (or lite cheese), lettuce and tomato, or as a meatloaf served with broccoli and a small amount of potatoes (I like to cook some sweet potatoes on my prep day). 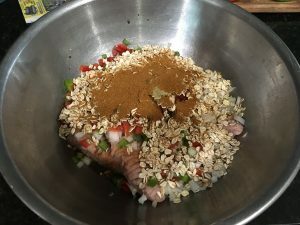 Actually, I don’t think I really ever make them exactly the same way twice, I like to create different variations of the recipe by using a variety of spices and I don’t always use the same vegetables. I’ll include a couple of versions here and then you might like to create you own version. Saute peppers and onions until they are soft, then remove from heat. Combine turkey, onions and peppers, Worcestershire sauce, tomato paste, oatmeal, eggs and spices in a bowl. Clean hands are the very best for mixing it all together! 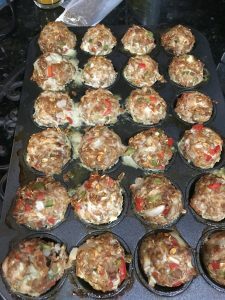 Use a 1/4 cup measure or an ice cream scoop to make 24 meatballs of equal size and put them in the muffin tins for cooking. *Alternatively you can shape them into mini-meatballs and put them on a baking sheet, make burgers and cook them on the grill, or a meatloaf. For the 24 meatball version, I bake them in the oven for 30 minutes. For variety, change up the spices, &/or the vegetables. I make an Italian Version of this recipe by omitting the peppers. I saute the onions with garlic and add a package of frozen chopped spinach, which I thaw and then squeeze out the excess juices before adding to the recipe. For spices use basil & oregano or Italian Seasoning and a small amount of Parmesan cheese. This version works great served with a little bit of marinara sauce and a sprinkling of Parmesan cheese on top.